Anyone who knows this game and has looked at my profile and seen how I feel about Heroscape (it’s the best) will not be surprised to see I give this game a perfect 10. It is very similar to ‘Scape, using cards instead of minis, with a few interesting differences I’ll comment on later. In this two player game the players each use one of six “Factions,” or armies, made up of a deck of cards. Besides the six different Faction decks, all of which are new to the Summoner Wars line, the game comes with two heavy folding boards with a grid on each where the cards will go, plus assorted dice and markers. You set up your army according to the instructions for your particular faction. All factions have their “Summoner” and all start with a wall and soldiers of various types in play. During the game you will draw the cards from your chosen faction deck into your hand and, sometimes, play them on the board as critters who will fight on your behalf, sometimes you will cast them as spells with some effect, and sometimes you will simply discard the cards into your “Magic” pile. Like in Heroscape, some of your soldiers are “common,” and you can have any number of them, and some are Champions, and you can only have one of each of them. Some attack from range, some must be adjacent, and so on. 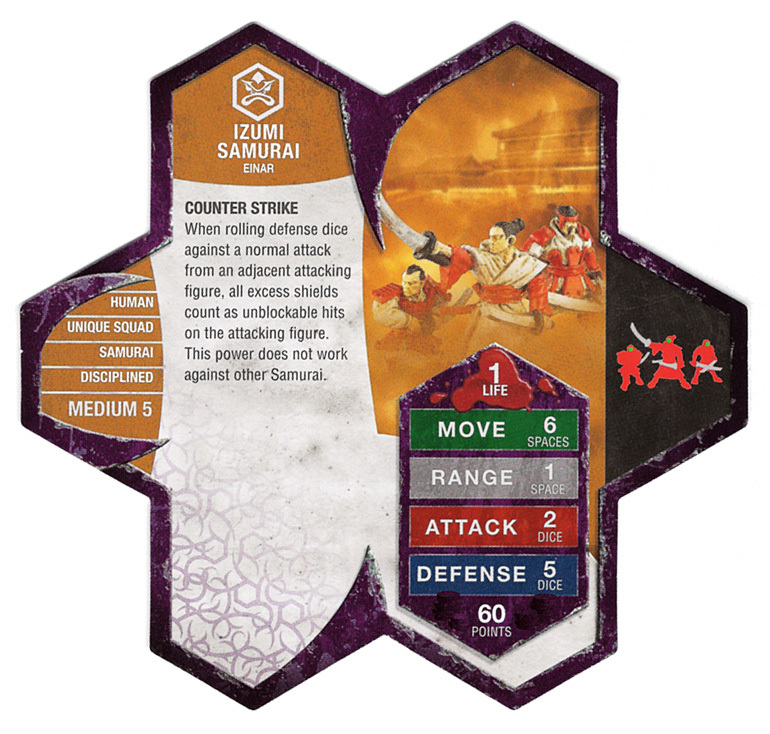 The mechanics of movement and combat are very simple and well described in the rules. The game ends when a player’s Summoner, who is sort of like a Champion but in this way also like a king in chess, is destroyed; that player is the loser. When you want to cast a spell, which means either (a) summoning a critter, as I said, or (b) casting some other kind of spell, depending on your faction, you will take cards from your magic pile and put them in your discard. The fancier the spell, the more cards you have to move from your Magic pile to your Discard. The game plays fast, normally in about half an hour. There are six different factions and each one has a significantly different play style from the others; the Mountain Vargath are straight ahead bashers, and the Deep Dwarves generate lots of Magic and have some powerful spells. Try them all. There are a couple interesting differences from ‘Scape, besides the obvious lack of massive, modular terrain and miniatures. This game is really balanced around making competitive armies, where Heroscape is not. Heroscape is designed for scenario play, and for mixing and matching to make armies. Summoner Wars is very finely tuned to keep each deck balanced against the other decks. It is really a testament to Colby and his Playtesting crew that, with all the attention this game gets, there is no emergent superior faction. Second, set up and take down are both very fast, which is nice. One last word about the box & insert: the box is *huge*. There is room for the six decks in the insert and room for all the other factions that have ever come out for Summoner Wars, too. It fits on my shelves with my other games – it’s not Rise of the Valkyrie big – but it’s up there. Maybe as tall as Ticket to Ride but bigger around than Castle Ravenloft. Also you can play with four players. I tried once and don’t especially recommend it; I thought it drags, but your mileage may vary. That’s it. We love theme and we normally play 2 player in our house, so this is right up our alley. Hey, That’s My Fish! is a wonderful little family friendly game that plays great with 2 or 3. It appears to handle 4, too, but I haven’t tried that yet. For your $12 you get a small box with 60 little hexagon cardboard tiles, each one depicting ice and 1, 2, or 3 fish. You also get 4 adorable little penguin minis in each of 4 colors. The game play is fast and smooth. You lay out the 60 little tiles randomly in alternating rows of 7 and 8. Then you take turns placing penguins (4 each for 2 player, 3 each for 3 player, 2 each for 4 player) on 1-fish hexes. After the penguins are all placed, you take turns moving them. Penguins move, queen-like, as far as they wish in straight lines, stopping only for opposing penguins or voids in the ice. After you move a penguin, you take the hex it had been standing on and add it to your score pile.
. . . – . . . .
. . – . . – . .
– . – . – – – .
. – . – – . . .
And penguins get separated from each other and trapped on different bits of the ice, each trying to gather as much fish as possible while using the board-destruction mechanic to isolate the opponent’s penguins on small ice-islands. The two player game is very abstract and chess-like. After the initial harvest of some of the tiles the game very quickly turns into a battle to limit the opponent’s available space, constantly seeking the zugzwang that will force your opponent to move backward instead of forward. The three player game is very different and much more friendly to my 8 year old. There’s a lot more give and take with opponents not coordinating in any meaningful way, so you have more space in which to harvest the more valuable tiles before it becomes time to look for ways to clip your opponent’s wings. So. I have two kids: a 12 year old intense gamer, and an 8 year old who is just not that interested. They both like this game, which is a big plus in my book. And it plays very fast, maybe 15 minutes for the 3 player, which is also a big plus because you know how it is finding time to do anything. The downside is the little cardboard chits are annoying. They’re small, and there are a lot of them, and they aren’t much to look at. And setup takes awhile, though not as long as some others have suggested. For $12, it’s just silly not to have this game. In this price range there’s Zombie Dice, which gets old fast, Bang!, which needs a lot of people and a lot of time, Forbidden Island, which is coop and needs a lot of time, and Fluxx, which I despise. So at this price point this might be the most complete game I own. Uno is a card game in which the cards have numbers and colors. The goal of the game is to get rid of all the cards in your hand by playing them, one at a time, on your turn. It’s sort of the inverse of a trick-taking game: You can only lay your card down if it matches the number or color of the card that’s already down, or if it’s one of a couple different Wild cards. If you can’t lay a card down you have to take one from the deck. Once you are down to one card in hand you say “Uno” out loud and then, I suppose, people will try to saddle you with extra cards. It doesn’t quite have the novelty. As others have said, you could almost play this with a regular deck of cards. With a couple house rules, you could *exactly* play this with regular cards. You can’t do that with Fluxx, which has its adorable fluffy artwork and dynamic rule system. It doesn’t accommodate people coming in and leaving as easily. The redeeming quality of Fluxx, in my opinion, is that it accommodates players dropping out & coming in. Uno doesn’t do that. It does, however, reward careful play, unlike Fluxx. If you handle your cards carefully (and the game is not too huge), you can push things in a direction so that you’ll have a good chance of being able to win. Still, it feels like a card game, along the lines of Crazy 8’s or Go Fish. If that’s not for you, skip this one. There’s just not much to it. Zombie Dice is a push-your-luck game. You are the zombie chasing the humans, trying to eat their bra(aaaai)ins. Reach your hand into the canister & pull out 3 dice. Roll them. Got a brain? Good. Got a shotgun blast? Not good. Got a victim running away? Keep chasing. Keep going on your turn, rolling 3 dice, until you (a) stop and get a point for each of your accumulated brains, or (b) get a total of 3 shotgun blasts and you get nothing. The three different color dice have different ratios of brains:shotgun blasts. The challenge is calculating how hard you can, or must, push your luck every turn to get to a total of 13 points. The game components are simply the heavy cardboard canister, its tight fitting lid, and the 13 dice inside. The dice are high quality and the artwork, such as there is, is gore-free and family friendly. This game is a ton of fun with a bunch of kids. It’s probably also fun for grown ups who have had a martini or three, but I haven’t tried that yet. I don’t recommend it for those looking to fill a significant block of time; it’s just not meant to be played that way. You’ll play a couple times, maybe 20 minutes total, and be ready for something else. If you found this website you sure as heck know what Scrabble is. Two to four players take turns laying letter tiles to make words. Different letters have different values and some locations on the board enhance the value of words or letters placed on them. The winner is the one who gets the highest score. It is, to my mind, the king of word games. The challenge is to take your letters, organize them into a decent word (“wall”) and find a better one (“seawall,” using all seven letters) and finding the perfect place to put it. The game works best – and *only,* consistently – when both players have comparable skill levels and expectations for how the game will go. I can’t play it with my kids because we are playing two different games. I’ll be wondering if I can use the word “quahog” and my kids will be happy to come up with something age appropriate for a 6th or 3d grader. So. For the right pair it’s the best word game in the world. If you have gaming style or vocabulary mismatches in your game group, be prepared for this one to gather dust. Castle Ravenloft is a game set in the Dungeons & Dragons fantasy universe. The first thing you will notice is the box is *heavy*. Inside you will find nearly one billion bits for various things. Chits, tiles, minis, cards, and an insert with a few large compartments for storing it all. The bits in this game are fantastic. The heavy cardboard tiles you will use for constructing your ‘dungeon’ are of the highest quality, the artwork is good and thematic, everything is well written and polished. The instructions are fairly well written – not the best ever, but fairly well written – and there are a few scenarios included to guide your play. Each player controls a hero going through the dungeon. The players take turns taking some action with their respective heroes, fighting a monster and/or exploring the dungeon, and then taking a turn with whatever monster(s) are also running loose and often revealing some trap or other unpleasant effect. Each hero and each monster is represtented by a high quality (unpainted, but high quality) miniature from the D&D line of miniatures. The different missions have different goals. The first mission, easily played solo with just one hero, calls for the hero to escape from deep within the dungeon before the evil vampire Strahd catches up to him. Other missions call for the hero(es) to get certain magic items, or guide villagers through the dungeon, or defeat certain monsters. The internet is, of course, loaded with fan-made scenarios as well. This is my favorite solo game. The mechanic requiring the player to physically take the role of the dungeon – drawing trap and encounter cards, manipulating the monsters according to the instructions in the rulebook – almost makes me feel like there is another player at the table, in a way that adding blocks to the map in Pandemic does not. As a coop game, again with the opportunity each player has to fight *as* the monsters, to *be* the dungeon with its traps and controlling the minis, this game allows some ‘gotcha’ resistance to the Alpha Male Menace that can occur when one strong personality is playing with others in a coop game. I do wish the minis were painted but I understand that’s not realistic. Still, without paint, some of them look quite a bit like some of the others. And there are areas in which the rulebook is unclear, specifically when dealing with how the player controls the monsters, but Google Is Your Friend and the clear answers are out there. This game is fantastic for those who want a mini fantasy solo/coop game. Plays fairly quickly once you understand the rules (and depending on the scenario) and scales well from one to four players. It may be able to handle more; I won’t hazard a guess. Thunderstone: Dragonspire is a deckbuilder, which means the players each have a deck of cards and there’s a central pool of cards from which they can acquire what they need to improve their own decks. The goal in this type of game is to build the best deck, which will normally be the one to reach the win condition first. In Thunderstone: Dragonspire, a standalone expansion of the Thunderstone franchise, your goal is to assemble a deck that is your fantasy adventuring party, by acquiring cards from the Village stacks. Those cards will be various types of weapons, food, and heroes, depending on what you’ve drawn at random from the many types of available village cards in the box. If you aren’t going into the Village, you can go into the Dungeon, where there are monsters and traps and treasures, which will vary, again depending on which sets you drew at random from the box. Once you kill a monster it goes into your deck, giving you points toward victory but also, in an interesting twist, cluttering your deck. The game includes a wide variety of village cards, including a varity of different heroes to be your champions, and a wide variety of monsters as well. There are a few wrinkles I haven’t touched on here, more than in the base game: there are traps, and dungeon settings, and other features carried over from the base game like you need light to go deep in the dungeon and strength to carry heavier weapons. Like Thunderstone, this game is absolutely dripping with theme. It’s fun, it’s thematic, and it can be replayed over and over with the game heading in different directions each time. I wish it played a little faster; I can never get the games to go in the advertised 45 minutes. It takes us more like 70 minutes for a 2 player game and longer for more (which are almost always teaching games, which could be the reason they take longer). The first thing you will see when you open the box is this game has a real storage solution, unlike the base game. There are dividers and foam blocks to keep cards organized and in place, and there’s room for this game’s cards plus the cards from all the sets that had come out before. You will also notice little chits to replace all the XP cards, and you will also notice a stealth “Dragon Humanoids” divider card that has no associated monsters (They came out later, in a promotion. They’re cool, worth tracking down). Between the two sets, if you need a good storage solution you should get this one first. The base game, without traps, treasures, dungeon settings and “Guardians,” is simpler. You really won’t go wrong either way, though. For my comparison of Thunderstone to Dominion, check out my review of Thunderstone (hint: I don’t like Dominion as much). Thunderstone is a deckbuilding game, which means it’s in this genre where each player pulls cards from a central pool to increase the potency of his own deck, and in the end the superior deck should be the one to reach the win condition first. Specifically, in Thunderstone you use the cards to build a fantasy adventuring party, composed of heroes and their equipment, by using the coin values of some of your cards to make purchases from the selection of ‘Village’ cards in the central play area. If you aren’t going to the Village to beef up your party, you can go to the Dungeon and try to kill a monster from the Dungeon deck. The winner is the player who kills the most points’ worth of monsters. If you kill a monster – and this is a critically important element of game play – the monster card goes into your deck, giving you some points toward victory but also cluttering your deck. The box comes with a wide variety of monsters, heroes, and village cards, and every game is different from every other, depending on the monsters in the dungeon and the available heroes and equipment to provide for them. Some monsters are stronger than others; some a more difficult to defeat with magic, some more difficult to defeat with weapons, and so on. With all the variables – the deeper you go into the dungeon, the more light you need; the heavier the weapon, the more strength, and so on – this game has a lot of replayability. It plays fairly slowly, though, partly because the players are constantly fighting against the accumulating clutter – in the form of killed monster cards – in their own decks. If I could get this game down to the 45 minutes it’s *supposed* to take, I would rank it higher. It takes my kid & me at least 70 or so minutes for a two player game, though. Still, if I had to choose between owning the base game for Thunderstone or the base game for Dominion, without question it would be Thunderstone. *So* much more replayable than Dominion, in my humble opinion. My guess is, if you are going to be a cutthroat-type player you really need to be prepared to invest a lot of money in Dominion. If you have the base game of Dominion, and nothing else, you have the Chapel and the Witch and the precious few cards that will dominate most games you play. It’s only getting away from those cards that you can start mixing the game up with *other* dominant cards, from other sets, and the game (hopefully) opens up more. Dominion, as I wrote in my review of that game, is similar to chess: In any setup, there are a few correct moves and a great host of incorrect moves, and any incorrect move can be unforgiving. Except that you’re not playing on the same board as your opponent, so there’s not as much interaction. Thunderstone has more paths to victory, and also, to my mind, is more fun to teach, because I don’t have to choose to stay away from the Guaranteed Win that a newbie wouldn’t ordinarily be able to see. Thunderstone is just as light, but much more thematic, much more fun, and much more fun to *teach*, than Dominion. As I said, I only wish it played a little faster. In Forbidden Island, the players take turns trying to collect four treasures off a sinking island. The goal is for all the players to get the goodies and evacuate from the Landing Pad before the island sinks beneath the waves. The island is represented by sturdy cardboard cards laid out in a predetermined shape. The arrangement of the cards within that shape is determined by dealing the cards randomly. Players take turns drawing from two other decks, one of which helps collect treasures – and sometimes raises the water level, imperiling the island – and the other deck floods some of the tiles. Players also move about the island, accomplishing different tasks necessary to get to the shared victory. Gamewright’s website says this game is for ages 10+. I played it with my non-gamer daughter at age 7 and she *loved* it. This is a fantastic game to play with kids and the difficulty level scales nicely depending on how you set it up. Some people refuse to play coops. This game is not for them. For anyone else, particularly those with children but really for anyone, this is a great, light, coop game. I prefer it to Pandemic, which I’ve long since given away. The game begins with each player having three cards and a deck in the middle of the table, from which all players will draw. As the game goes on, new rules (and winning objectives) are added, changed, and taken away. The cards you play from your hand can be rules (“Draw 2 cards at the beginning of each turn,” “At the each turn discard down to 4 cards,” and so on), actions (“Draw as many cards as there are players and give a card to everybody,” “Discard all the rules in play,” and so on), Keepers (“The Tree,” “Ice Cream,” and so on), Creepers (bad Keepers: “War,” “Taxes,” etc.) or Objectives (normally related to Keepers: “If you have the Toaster and the TV, you win.”). On your turn you play a card, or more cards if the current rules dictate, and you can play any one of the card types. Rule cards change the rules, of course, but they can be changed again, and indeed probably will be. The goal is to reach the objective in play with your Keepers. So if the current objective is “Toast: the player with Bread and the Toaster is the winner,” and you have in front of you the Keepers Bread and the Toaster, you win. The game can be over in three turns, or it can go on interminably, and what you need to win is a ton of luck and a pinch of skill. I find this game very boring, and I’ll play just about anything. The one thing it offers that most games don’t: it doesn’t make a bit of difference if a new player joins (“Here are three cards. Welcome to the game!”) or another one departs. Which is a nice feature, in a light party game. You get your secret destination tickets, and use different types of train cars to seize routes & complete as many tickets as you can to maximize your score. *Very* easy to understand for people coming over from Monopoly/ Risk/ whatever, this is often my first recommendation to people looking to expand their game collections to include some of the good stuff. Plays well from 2 to 5 players from the kids to the grandparents. My one complaint, and it’s a little thing: The cards representing the types of trains are pretty small. I’ve gotten used to them, but with the USA 1910 expansion it turns out I never had to; it includes replacement full sized cards. http://www.dipsters.org ~ *The* online headquarters for this game. Explore this site for alternate maps for when you have non-seven players, for PBEM resources, for alternate rules, for strategy articles, and more. http://games.groups.yahoo.com/group/Dipsters/ ~ A home for top level PBEM Diplomacy. We discovered early on that a player at level 9 can, when he doesn’t get a monster from the Door deck, “look for trouble” against a level 1 or 2 monster he’s been holding in his hand for just this occasion. 2. It means each player now has to hoard 2.a. the level 1 or 2 monsters and 2.b. the precious few cards that can really neutralize such a strategy. So we forbid players to look for trouble & get the winning level that way. I was disappointed to see the cards would not fit around the edges of the insert box, laying across the scoring track, and would not fit in the mini-box in the middle, either. I devised a simple way to store all the cards together in the box, though: flip the scoring track portion of the insert upside down. Stack as many cards as you can in the middle, inner box, and split the remaining cards in two piles and lay each pile, long side down, against the inner box in the space vacated by the inverted scoring track. Let’s say the card at the front of the line isn’t too bad. Look for opportunities to move some pest to the *second* position, so that after you take your card from the front, and it’s your opponent’s turn, your opponent has a problem. The ideal candidate for this is the Unpopular Judge; in exchange for your opponent getting that one card, in a 2 player game you basically get two turns in a row, because he can’t play an Action card to get something juicy while the UJ is up front for his turn. 1. It climbs on top of an adjacent piece, opening up room to prevent the Bee from being trapped. Ideally this will be an interior space it’s vacating, to make it even harder for the opponent to block it up again. 2. 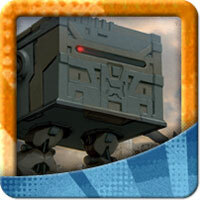 It can climb on top of an opposing piece to prevent your opponent from building a new unit back there. Pay careful attention to what your opponents are doing and be prepared to deny them opportunities to get bonuses. If your opponent has two Silver Refineries, consider selecting “Produce” before they do, *even if you do need it that much. * That way on your opponent’s turn he will be denied the opportunity to put down two silver goods. Watch closely; do the same thing with Trade, and so on. By the same token, pay attention to when the turn will be over and whose turn will be *next*. Think beyond the current turn in role selection. Also, I could not disagree more with another tipster who says this game does not play well with 2. It plays *great* with 2; anyone looking to play Puerto Rico should do that instead. Like Forbidden Island, Hey, That’s My Fish! comes with essentially modular game pieces that you are instructed to assemble into a square. Also like Forbidden Island, you can mix it up by making other shapes. No reason not to make long rectangles, or rings, or whatever. Word to the wise when experimenting, though: Particularly in a 2 player game, you will be hurtling the game toward an endgame scenario, because players will find it easier than usual to box in the opponent. Expect your games to be faster and shorter with drawn-out post-endgames, by which I mean that last stage where you just wander around picking up the loose tiles after being completely separated from your opponent(s). I particularly recommend this tip when playing with kids, who might enjoy the setup phase of the game and connecting the hexes more than you do. This game ends after the fifth “year,” or turn. Which seems quick, but even with two players you may find that it is dragging and bedtime/go home time or whatever. Easy fix: shorten the game by fixing the number of turns at 3 or 4. If you are going to go down to 3, you may also want to take the moon and the space commander out of play because that can add time to the game, too. If you *are* playing with the moon and the space commander, I highly recommend you take the time to try out the moon territories. Battle on the moon has a very different feel from battle on earth, by design. Don’t put your 3 and your X on the same card. If you do, after you play your 2, your opponent will know where your 3 is. It seems obvious, but this is something a casual player will easily overlook. Or at least, I didn’t figure this out until I’d been playing a long time. Try to work things so that your ‘Uno’ card is a wild. If you have two cards and one is a red 2 and the other is a green 7 you might get something to let you dump one or the other. But then you’re holding a red 2, it’s not super likely the card that comes to you at the end will be something you can play it on. So if possible, hold on to that Wild card, so if you’re lucky & skilled enough to get down to one, you’ll be able to get rid of it on your turn, no matter what. Don’t be shy about dumping a bunch of Order Markers on a single squad. In competitive play the guys who are brand new very often will spread their OMs out across their entire army. You have 2 squads of Marro Stingers and want to use them to attack your opponent’s Major Q10? Don’t be shy. Put two or maybe all three of your Order Markers on the Stingers. Spreading out your OMs can be fun and is sometimes wise or necessary. But don’t do it without considering putting more than one OM on the same card. Free for alls where the winner is last man standing are a train wreck. It ends up being more Diplomacy and less Heroscape, and people will (just like Diplomacy!) get angry at each other and gang up on the leader or turtle and it will be irritating. Track how much damage you do. In a tournament it’s called “partial card scoring.” The guy who does the most damage wins. If the Krav Maga Agents are worth 100, and there are three in your opponent’s squad of them, and you kill one of them, you get 33 points. If your opponent’s hero has 4 life and is worth 120 points, and you attack the hero and do 3 damage, you get 90 points. And so on. Whoever does the most damage wins. Even more so than with 2 player ‘Scape, this format discourages turtling. It leads to fast, wild games, where the incentive for every player is to lay it all on the line fast. … Here is one of the things you can do with order markers. Use Order Markers 1-3 as normal. Use *two* X markers, instead of just one. After you and your opponent have both used OMs 3, take one additional turn using one, not both, of your X markers. You pick which. I’m a fan of using competitive-type rules and setups now. But a couple years ago, when the kid was littler and we just liked piling up huge armies in ridiculous slugfests that could last a couple days, that was a fun way to make it a little more simluation-y and less game-y. Some units are “Unique.” Some of the heroes, some of the squads. Some are “Common.” If you’ve done your research in advance and know you’re getting a common unit, or if you’ve purchase a lot from eBay or picked some up from Criagslist and you realize you have a common unit, get *more of the same*. That’s very important. The Warriors of Ashra, female elves with spears, are fun. If you have three squads of them. You don’t want to have only one. Here is a Common card. See where it says “Common Squad”? Try to get three or more of these guys, if you like ’em. Heroes can also be Unique or Common. A small handful of relatively recent heroes are “Uncommon.” For the purpose of your collection, it’s probably best to think of them as common, though in game mechanics they are more like unique. You’ll see, if you don’t already know. There are a few good comments here for the newest of the new, particularly be flexible and piggyback on what your opponent is doing. The temptation for new players is to go military as often as possible, and to groan when you’re dealt Old Earth as a starting planet. *Embrace* the produce/consume cycle. Don’t forget to play cards with development powers. Don’t hesitate to trade, but don’t neglect the x2 consume, either. Don’t forget for a second it’s a *Race* for the Galaxy. Do not sit around trying to construct the perfect tableau. Push the game. If your hand is big every turn, you’re doing it wrong. Squeatus mentions Epic Thunderstone. Tom Vasel demonstrates how to set that up here: http://www.youtube.com/watch?v=PEKAm4VLwbI. It adds loads to the theme, giving you opportunities to get all kinds of heroes and fight all kinds of monsters. It does make it harder to build synergies into your deck, reducing the game-iness. It’s a lot of fun, particularly if you’re digging the fantasy theme. Got in a game of Lords of Waterdeep and some Ascension today; probably more Ascension over the weekend. Lots of Smash Up and Ascension: Return of the Fallen (as a 2p standalone) over the last few days. We’re enjoying both very much & excited about the mailman bringing us Chronicle of the Godslayer in a couple days. Ironically, I read the article and every single comment with care and when I was on the 2d to last comment on the page the hourglass appeared. Which makes me think it probably should be appearing faster, as commenters have suggested, because the little boon should be available for faster readers than myself, too. And (I’m surprised I’m the first one to raise this issue) *please* make the hourglass bigger. Clicking on the hourglass shouldn’t be a dexterity contest for slow people. Thanks for all the great work, guys. Scrabble with the 9 year old. And she got over 200 points! With only a moderate amount of help! I’m the TD at a Heroscape tournament tomorrow. We’re expecting 30+ people. So, that’s what I’ll be playing. Heroscape! Playtesting before next weekend’s tournament. The Summoner Wars Master Set. I’m a big fan of the mandatory quests. Player interaction is hard enough in Euros; why would you make less of it? We like ’em, I wouldn’t take ’em out. @ Morlimar – You can’t go wrong, but I recommend acquiring units that interest you without regard to whether they’re still in the “packs,” which can be expensive. Google “auggies games”; he’s an online retailer who sells individual units at a reasonable price. @ Michael – Thanks for sharing your review, I really want this game. Is your review spoiler-free? I am concerned it’s not, though I don’t have the game so I don’t know for sure. You can edit reviews if you think it’s appropriate. Thanks again for the review. OT, sort of ~ In the tips and house rules areas I would *love* to see (a) more thumbs, good or bad, overall, and (b) more generous thumbs. I repeatedly see substantive, good, thoughtful contributions get mediocre (or worse) ratings. We don’t have this game but we do have some other FFG products & I am obviously, as a gamer, interested in their Corporate Behavior. On the one hand, you would hope they wouldn’t need to apologize. On the other hand, it’s hard to criticize the humility, grace, and thoughtfulness of Mr. Peterson’s letter. And the sub forum it’s in for more information about C3V. Keep an eye on C3V and the SoV (same place, more or less) for playtested customs of the very highest quality, using minis you can find yourself. 1. Don’t be sad. You can still find it, new or used, and you can still play what you already own. Just like you can play chess, and unlike chess, ‘Scape hasn’t been near-broken by computers. And you can still get new stuff pimped and dressed up and generated by the C3V, and approved by the SoV, over at http://www.heroscapers.com. Check it out. 2. Go to your local tournaments. The local tournament scene for this game is *awesome*. I used to play M:tG and chess competitively, and I know competitive gaming can be unpleasant. Scape isn’t like that. 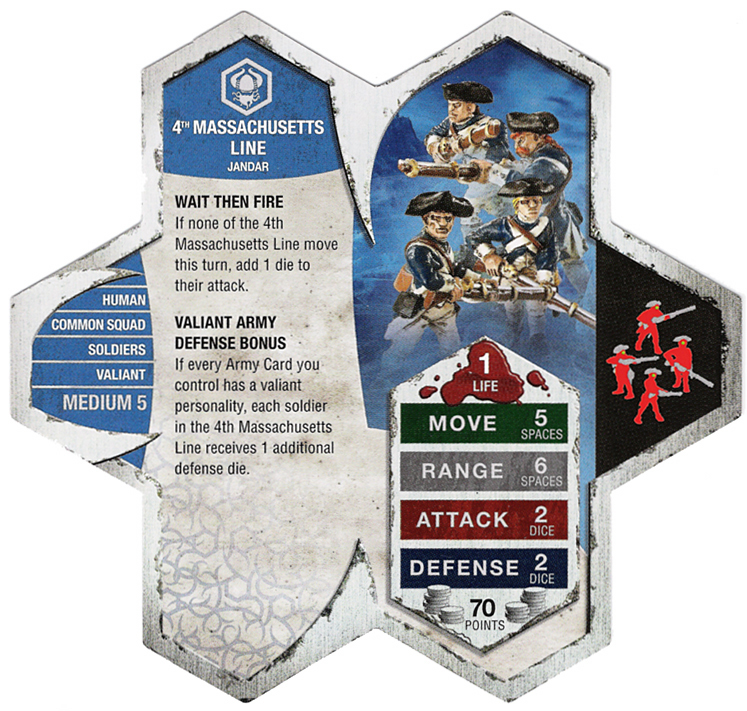 Find your local scene – again, at http://www.heroscapers.com – and check it out. Attention Heroscapers: This line of minis appears to be *very* custom-friendly, and the C3V at http://www.heroscapers.com will be using some of the minis for their project. There are some strategies that will be less feasible than others, but there are also variations within each strategy and sometimes you will switch strategies part way through. We have the first expansion which really fills in the gaps for military, making it a real winner sometimes and giving it lots of flexibility, plus loads of new start worlds. I recommend the first expansion (The Gathering Storm). Beyond that I don’t own and I feel like I have a deep, complete game, so I’m not looking to get the next one. @ Southpaw ~ Military is the easiest to play, but over time produce/consume should win more games. Trade, yes, but also get your x2 consumes. Don’t be shy about swapping one strategy for another mid-game if your cards dictate you should, and don’t forget it’s a *race*. Don’t try to build the perfect tableau, play with what’s in your hand. Waiting for the Perfect Card will lose you 9 out of every 10 games. There’s some good advice already in the “Tips” section of this site, including a link I posted to a free download you can get that allows you to play against an AI. Games in heaviest rotation at the moment, depending on who's around: Risk Legacy, Ascension, Heroscape, Say Anything, Munchkin, Smash Up.